Lindy is a psychotherapist who spent 15 years working in schools helping young people make sense of their lives. 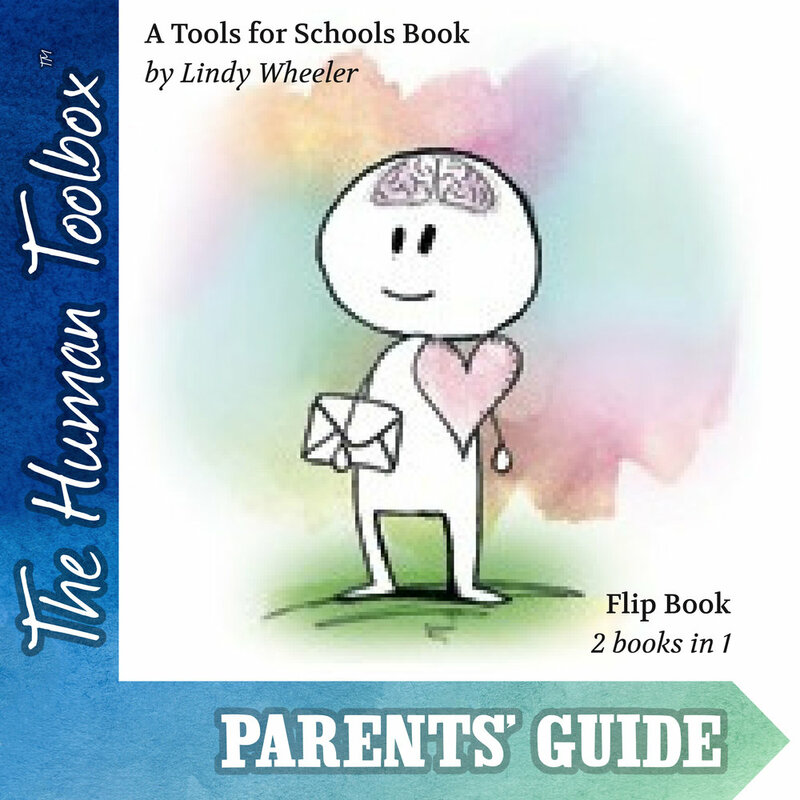 The Human Toolbox is packed with the tools and techniques she has successfully used with young people, their teachers and parents. The book is in two halves. One way up it is an illustrated operating manual written for young people. Open from the other end and it is a practical guide for parents struggling to help their son or daughter. Increasing numbers of young people are finding it difficult to cope and their mental health is suffering as a result. This book will help those who are struggling, and help all readers to become more resilient and balanced. Improving the mental health of young people requires partnership between parents or teachers and the young people themselves. This book helps both see things as they really are. The Human Toolbox will help combat the growing problem of poor child and adolescent mental health. There are just 1,459 CAHMS beds in England; not enough to go round. Schools are struggling to cope with this growing problem. Understand why you feel as you do, be you a parent or young person. Gain an insight into how the human brain works. Develop techniques that will improve your resilience and wellbeing. Confront difficult feelings - avoiding the harmful distractions often used to take the pain away. Grow their sense of self-worth, self-esteem and self-confidence. Break the cycle of behaviour that can make them explosive one minute, implosive and anxious the next. Feel less exhausted, demotivated and become more optimistic. Become better at retaining information and feeling capable and confident. Covers shown are for illustration purposes only and may change at time of publication.